Zamfara is a state in northwestern Nigeria. Its capital is Gusau and its Governor is Abdul'aziz Abubakar Yari, a member of the All Progressives Congress (APC). 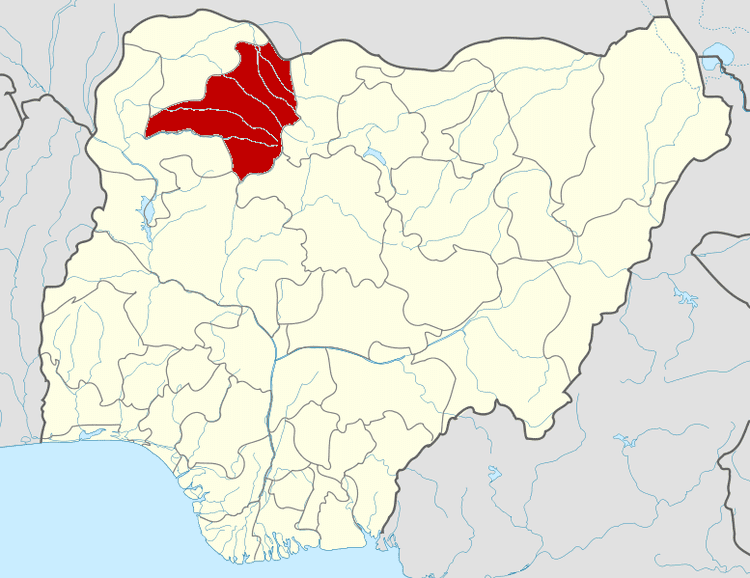 Until 1996 the area was part of Sokoto State. Zamfara is populated with the Hausa and Fulani peoples. Major groups of people are the Zamfarawa, Anka, Gummi, Bukkuyum and Talata Mafara Local Governments areas. Gobirawa populated Shinkafi Local Government. Gobirawa actually migrated from the Gobir Kingdom. Burmawa are found in Bakura and Fulani peopled Bungudu, Maradun, Gusau and are scattered all over the State. In Tsafe, Bungudu and Maru Local Governments are mainly Katsinawa, Garewawa and Hadejawa. While Alibawa peopled Kaura Namoda and Zurmi. The people of Zamfara have over the years struggled for autonomy, it was not until 1996 that the then military administration of the Late General Sani Abacha detached the Zamfara State from Sokoto State. With an area of 38,418 square kilometres, it is bordered in the North by Niger republic, to the South by Kaduna State. In the east it is bordered by Katsina State and to the West by Sokoto and Niger States. It has a population of 3,278,873 according to the 2006 census and contains fourteen local government areas. The area today called Zamfara state was one of the old Hausa city-states like Kano, Katsina, Gobir, Kabi and Zazzau. The earliest inhabitants of Zamfara were said to have been hunters and giants. They established their first settlement at Dutsi which was the first capital of Zamfara. It extends up to the bend of River Rima to the north west and River Ka in the south west. Zamfara Kingdom was established in the 11th century and flourished up to 16th century as a city-state. Its capital has shifted with the fortunes of the kingdom from place to place like Dutsi and Birnin Zamfara. In the first half of the 18th century, its then capital Birnin Zamfara, was destroyed by the Gobir Kingdom and a new capital was established in Anka by the second half of the 19th century. 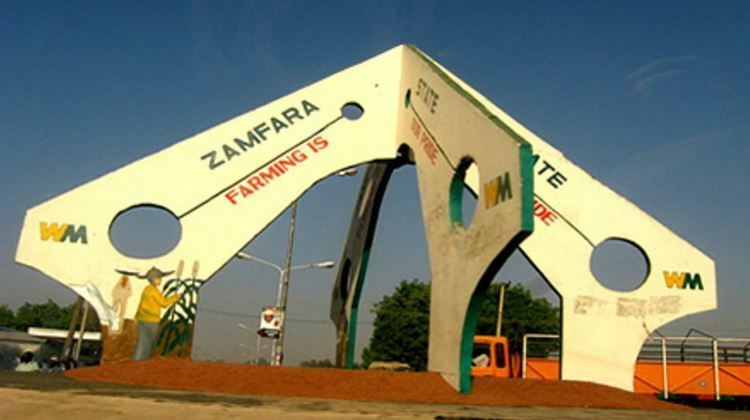 Zamfara had many centers of commerce and scholarship that attracted many scholars like the Yandoto city. It became part of the Sokoto Caliphate after the 1804 jihad by Usman dan Fodio. In fact, Usman Danfodiyo settled in Sabon Gari where Sarkin Zamfara Abarshi had already established a garrison headquarters during the early days of his Jihad as a base from where fought Gobir and Kabi. At the wake of British colonialism, the emerging town of Gusau became an important commercial and administrative center with road and rail networks passing through it. With the creation of states during the Gowon Administration, Zamfara Kingdom became part of the then North West state and later the Sokoto State. The climatic condition of Zamfara is tropically warm with temperature rising up to 38 °C (100.4 °F) and above between March to May. Rainy season starts in late May to September while the cold season known as Harmattan lasts from December to February. Agriculture is main occupation of the people of the state and the central source of income. Irrigation is required for cereals and legumes hence its slogan "farming is our pride". And also Home Of Shari'ah. In 2009, gold mining became a greater source of income in Zamfara State as worldwide gold prices rose dramatically. High concentrations of lead in the ore from which gold was being extracted led to a lead poisoning epidemic in the state, requiring national and international intervention to remediate affected areas and provide medical care to children with severe lead poisoning. Islam is the principal and major religion of the state. Zamfara was the first state in Nigeria to introduce Sharia law during the regime of Ahmad Sani Yerima, the former Governor of the state. Christianity also has many adherents. The original native religions also remain but has the least number of followers. Its mainly practiced in the ancient or earliest settlements of zamfara like Dutsi and Kwatarkwashi. English is the official language of the state. Other main languages spoken in Zamfara are Hausa, Fulfulde, Arabic; minority population also speak languages like: Yoruba and Igbo.